The word 'yo' has a near-sacred status in the lunkheaded Rocky universe; it can be soft or hard, gentle or a throwdown. In Creed II, it comes reverently, with a marriage proposal and, later, the birth of a child. That's not an accident: As with 2015's affecting Creed, the sequel wants to consecrate every verse of Stallone scripture, bowing deeply to Rocky IV’s clash of superpowers (both Dolph Lundgren and an icy Brigitte Nielsen are back), and evangelising on behalf of the franchise. The people making this movie know all the beats they have to hit, and hit them they do, jab by jab. If the results aren't as artful as those by Creed director Ryan Coogler (Steven Caple Jr steps in), they still feel earned. 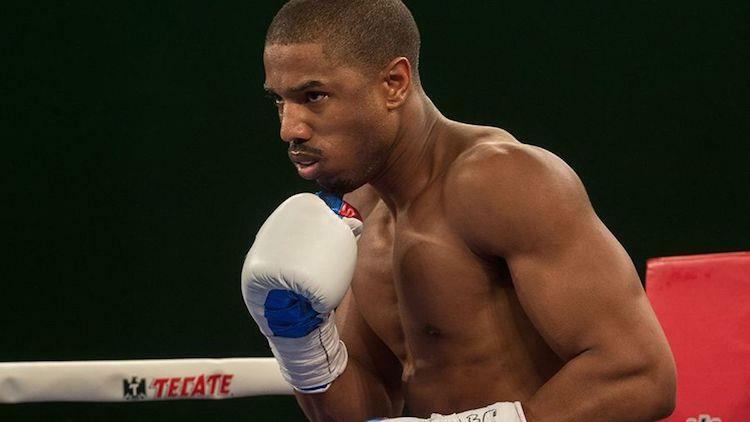 That’s chiefly due to actor Michael B Jordan, the linchpin of the rebooted series, who again makes hay with the role of rising young boxer Adonis Creed, rife with daddy issues. Last time, Jordan leaned hard into the story of a humble son chasing a ghost, Apollo Creed, gone before his child could know him. Now, Adonis is all but avenging him, confronting his father's murderer in the ring in the form of Viktor Drago (Florian Munteanu), the hulking progeny of Lundgren's iconic Russian heavyweight Ivan. ('It all feels so Shakespearean,' articulates one commentator for the cheap seats; the script is sometimes coarse.) You won't need to refresh on the '80s films to know that the bout doesn't go well: Adonis lets the mojo go to his head and his pre-fight entrance into Brooklyn's glittering Barclays Center is glitzy and preening – a bad omen. Bring on the training montages, the hoisting of enormous tires, the honest labour of the punching bag. Creed II doesn't unfold as elegantly as its predecessor: Stallone's champ-turned-coach, grappling with guilt, is less of a revelation this time, and less motivated as a character. So is Adonis' girlfriend Bianca (Tessa Thompson), who somehow gets signed off-screen as a Rihanna-esque pop singer in a subplot that feels undernourished in this, the Year of Our Lady Gaga. But impressively, the movie compensates with some fascinating father-son Drago tensions, the Russian oligarchs swarming, redemption at hand. You sense that Ivan's life hasn't been so hot during these past several decades since he lost to Rocky on his own home turf. To which we can only say: Yo.